If you’re a Gamer, then, you maybe already using Steam. To Purchase and Download Games. Steam does offers, digital rights management, match-making servers for multiplayer’s Games, and video streaming services. But recently, many Steam App users encountered a weird issue. They can’t able to launch their steam client. Means, after trying to open or run Steam Client, nothing appears on Screen. And, for some users Steam automatically get closed after few minutes of launch. So if you’re also facing “Steam Not Opening” problem. Then, follow this article to get to know about some working solutions. Why is Steam Not Opening?. Well, I can’t tell you exact cause behind “steam won’t open” issue. But, if Steam not starting, then the main cause could be software conflict. Means, some other Windows Service or App is preventing Steam to get launch. For Example – third party antivirus program. This problem also arise when, user close Steam App while downloading Game Updates. Or, if Steam Client updates doesn’t get installed properly. Then also steam will not launch until you reinstall Steam App. I think, instead of knowing reasons, you want to know some working solutions. I also had faced similar issue. So, here are some solutions which will help you to fix “Steam not launching” problem. 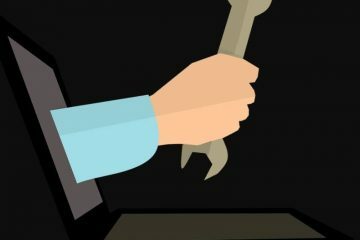 1 Solutions to fix Steam Not Opening. 1.1 End Steam Client Bootstrapper Process. 1.2 Disable Steam from Startup. 1.4 Backup, and Delete Appcache folder. 1.5 Backup Games Folder and Reinstall Steam App. Solutions to fix Steam Not Opening. End Steam Client Bootstrapper Process. This is, the most common solution to fix an App, that isn’t opening. When you launch any Windows Program or App. 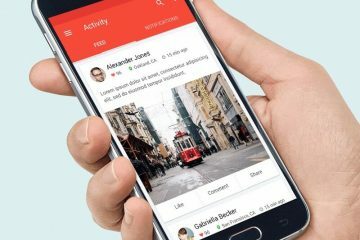 Background process of that App get started automatically. It doesn’t matter, App Window is showing or not. Same issue is with the Steam App, which you’re facing. And, you can’t run multiple instance of a same App. So, If you even try to open any Windows App Again and Again. Which is not Opening. Then, you’re just wasting your time. To fix “Steam Not Opening” problem, and to get it running normally. 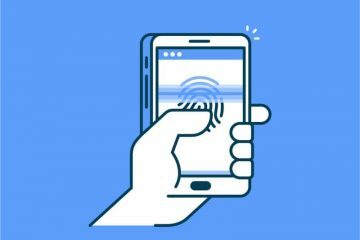 You have to end background process of that App first. 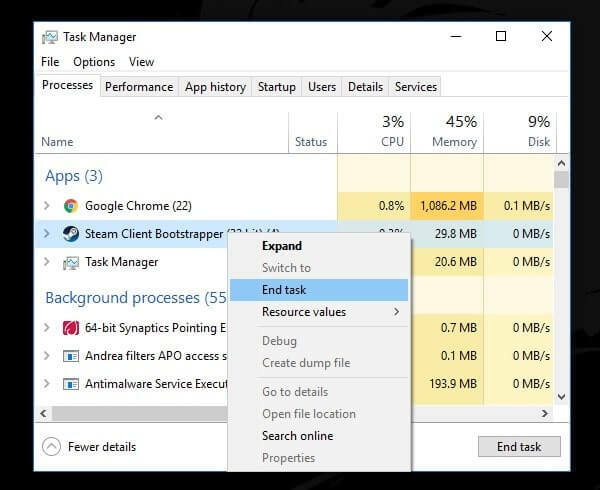 That you can do by using task manager. 2. Click on Task Manager, to open it. 3. Now in processes tab of task manager, under Apps tab. You will able to see “Steam Client Bootstrapper” option. 4. Right-Click on it, and, then click on “End Task” option. 5. Now, Instead of launching it directly from desktop. Open Steam folder, which is located in the following directory. 6. In Steam App folder, look for Steam Client launcher. Right Click on it and then choose “Run as Administrator” option. That’s it. Hopefully, this solution will fix this problem. If first solution was able to fix, Steam Not Opening, problem. And, problem get started again after restarting Windows. Then, maybe some startup services are creating some software conflict. When you start Windows, some third party program also get started. Which you have downloaded. For Example – Steam. And, because steam is enabled in startup program. So, Steam process automatically get start when you start Windows. And, if you have installed any antivirus program. Which is also enabled in startup settings. Then, antivirus program prevents Steam to get launch. It’s just an example. All I am saying you have to disable all startup services including Steam. 1. Open Task Manager, Click on Startup tab. 2. Right-Click on Steam Client Bootstrapper. And, then click on disable option. Do the same for all startup services. There is not any negative affect of doing it. Next time, Windows will get start faster. After disabling Steam, just restart Windows. And, run Steam using administrator privileges. 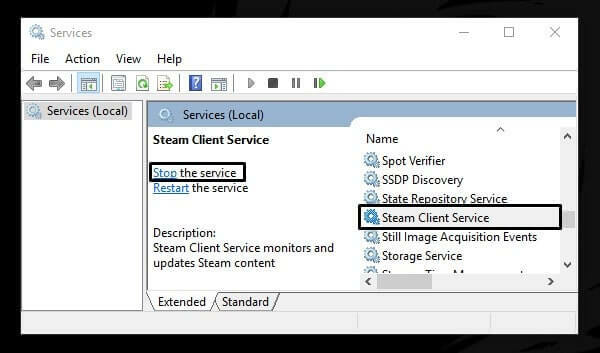 This solution always work to fix Steam Client related problem. Like browser, Steam does also store some data. If cached data is creating issue. Then, also problems like Steam Not Opening arise. Note: This solution may clean some Games from the Steam Library. If it does, you don’t have to worry. You just have to select default folder where game is stored. 1. First, Press Windows + R key, type “services.msc” and press enter. 2. Look for “Steam Client Service”. Right Click on it and then click on stop. 3. Now again press Windows + R key, to open Run Window. 4. In run Window, type steam://flushconfig and press enter. 5. Now, wait for some time and then restart Windows. 6. After restarting Windows, navigate to the Steam folder. 7. From the Steam folder, run Steam.exe. And, now Steam App will work fine. If Games are missing from library. Then open Steam App settings. Click on downloads option from the left pane. Click on the Steam Library Folders Button. And, then select default folder. Where all your downloaded Games are stored. Backup, and Delete Appcache folder. 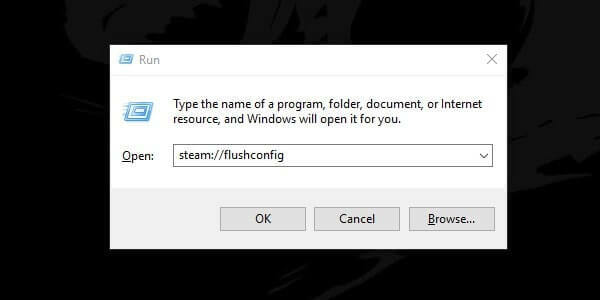 If by flushing config of Steam App, “Steam won’t open Windows 10” problem doesn’t get resolved. Then, you have to delete AppCache folder. That you can find inside the Steam Folder. 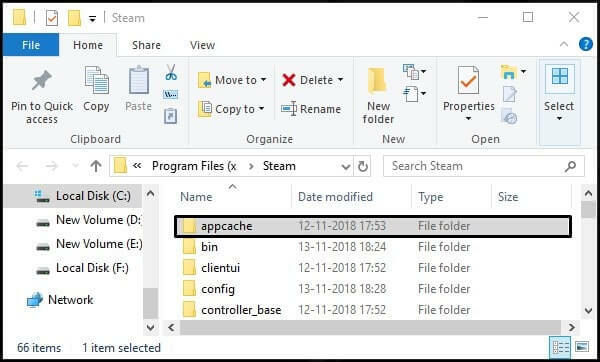 Appcache folder in steam does store various data of Steam Apps and setup. So that Steam App can get launch Faster. But, if App data got corrupted. Then, you have to delete the folder. Don’t worry, Appcache folder will get created automatically. Once you delete it, and run Steam Client again. 4. After moving folder, you can run Steam Client. 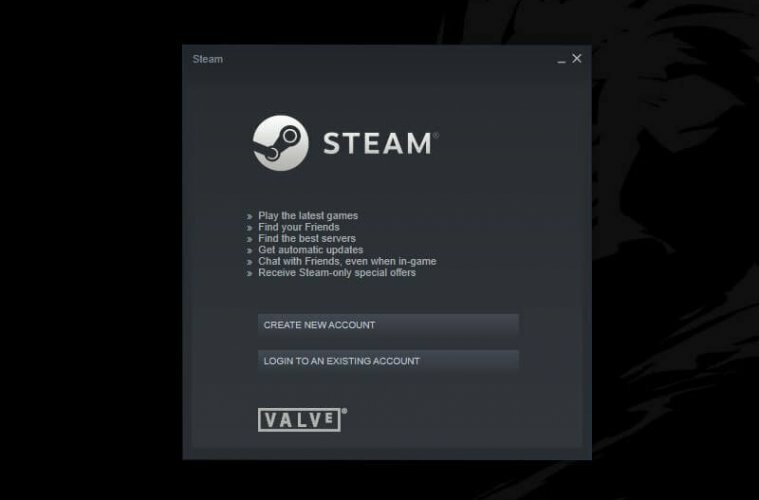 This time Steam App will ask for login information. So, enter your login details and start using it. Backup Games Folder and Reinstall Steam App. If above mentioned solutions doesn’t work. And, still Steam Not Opening. Then maybe Steam Client updated got corrupted. Which you can only fix by reinstalling Steam Client. 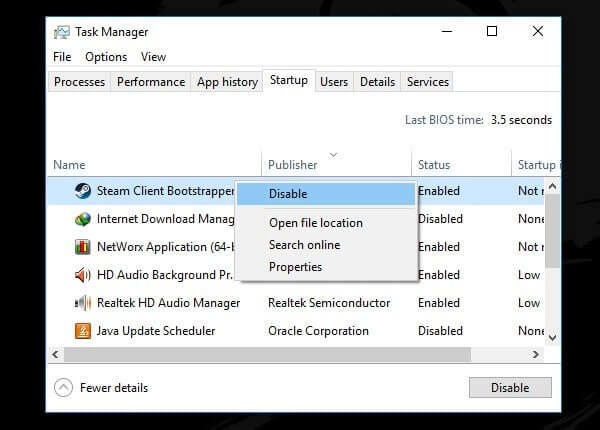 First, you have to completely uninstall Steam App from your Computer. Uninstalling Steam, means losing all your downloaded Games Data. So, first move games files in another folder. If you haven’t downloaded any games yet. Then, simply uninstall and reinstall Steam. That’s it. This solution will work for you defiantly. Just don’t forget to create backup of SteamApps folder. That’s it. These are the solutions to fix Steam not Working or Opening problem. 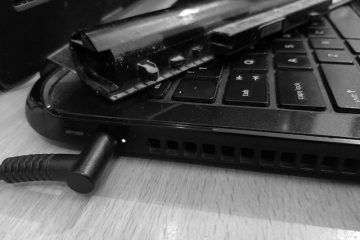 Some so called tech blogs suggest some irrelevant solutions. Which will not help you to solve this problem. You will just end up wasting your time. So, follow these solutions one by one. You don’t have to try all solutions. Just, Try until your problem get resolved. Though, most of the times, first solution works for everyone. But, if Steam data got corrupted. Then, reinstalling it is the last option. 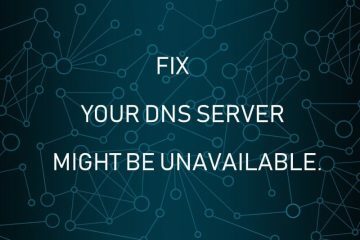 Previous ArticleWiFi doesn’t have a valid IP configuration. ERROR SOLVED.